Jacaranda Images, located in Amman Jordan, is a gallery dedicated to prints and works on paper. Jacaranda Images would like to help you start or grow your passion for the arts and the creative environment. We offer new works on a regular basis. Both original prints and reproductions are available in a continuously changing environment. Our material is sourced from around the globe, with an emphasis on Australian and Asian art. Jacaranda Images holds regular exhibitions which are curated around a concept rather than individual artists. Photography, drawings, etchings and screen prints can sit side by side to explore a theme and provide the viewer with a different and sometimes provocative view of the world. Our aim is to inspire you, to intrigue you, and to introduce you to fresh talent and new concepts. The gallery’s collection is suitable for those looking for affordable prints, or wanting something unique for their home or their corporate environment. 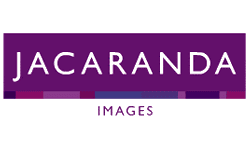 Jacaranda Images offers a number of services including gift certificates, advice on the best way to frame your work, advice on the selection and placement of artworks in both residential and commercial spaces as well as special orders of rare prints. As part of مهرجان الصورة - عمان Image Festival - Amman , Jacaranda Images welcomes the return of Tariq Dajani for his 5th solo exhibition at the gallery. The exhibition consists of a series of rich hand-crafted photogravure prints combined with Arabic writings by poets Mahmoud Darwish and Samih al-Qasim, and mystics Rumi and Gibran, where the poetry adds an evocative dimension to the image. As part of مهرجان الصورة – عمان Image Festival – Amman , Jacaranda Images welcomes the return of Tariq Dajani for his 5th solo exhibition at the gallery. Dajani uses old family photographs and other material to create poetic stories and ideas that reflect his personal feelings and thoughts, and his constant search for spiritual and earthly identity. The work is dark and evocative, hinting of separation, pain and loss. At the same time, the depth of human emotion displayed in the pictures provides future hope and optimism. This will be the first exhibition of a series. All photogravure prints are limited to an edition of 3 copies only, and will be available for purchase. An artist’s talk will take place on Wednesday 17 April at the gallery. If you are an artist and wish to use this online channel for your artworks, or if you are an art lover who is thinking to purchase artworks, contact us. Want to be updated on all the new events and the new artists in Jordan.